The good news is that Dog Man is now available in paperback. 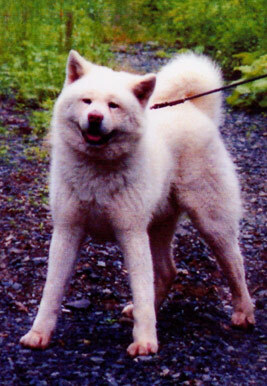 The sad news is that Morie Sawataishi, the patriach of the Sawataishi family and the man who almost single-handedly saved the Akita breed from extinction in Japan during World War II, died on October 22, 2008. He became ill shortly after his 92nd birthday and, when hospitalized, refused life-saving treatments and intravenous medications of any kind. His wife, Kitako, is now living with her daughter Ryoko Ando in Oyama City. After 68 years of rugged mountain life, she is enjoying her time in the city.